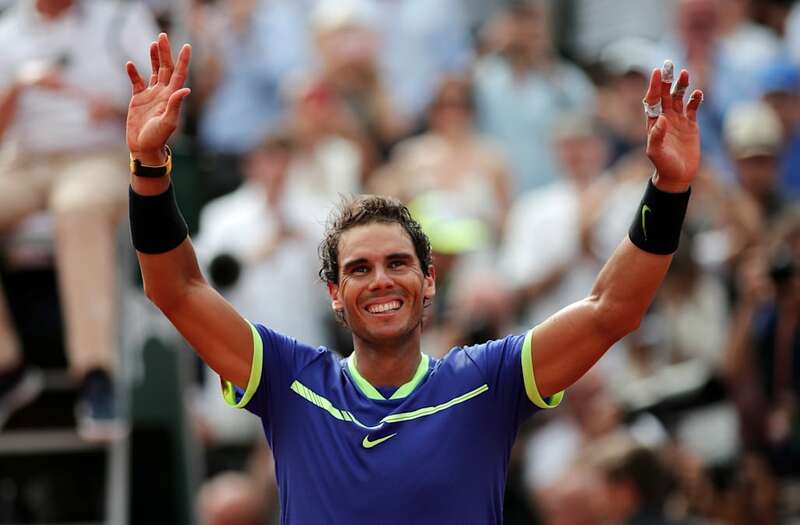 PARIS, June 11 (Reuters) - Claycourt master Rafael Nadal was too hot to handle as he crushed Swiss third seed Stan Wawrinka 6-2 6-3 6-1 to claim a record-extending 10th French Open title on Sunday. The fourth seed, who has lost only two matches at Roland Garros since his debut in 2005, is now just one short of Margaret Court's all-time record of 11 titles at a single grand slam. Nadal, who has now won 15 grand slam titles in total, was never troubled in a one-sided final. He claimed the Musketeers Cup without dropping a set in the tournament for the third time, having lost only 35 games en route to achieving what has been dubbed 'La Decima'.